Every company needs a crane at some time. 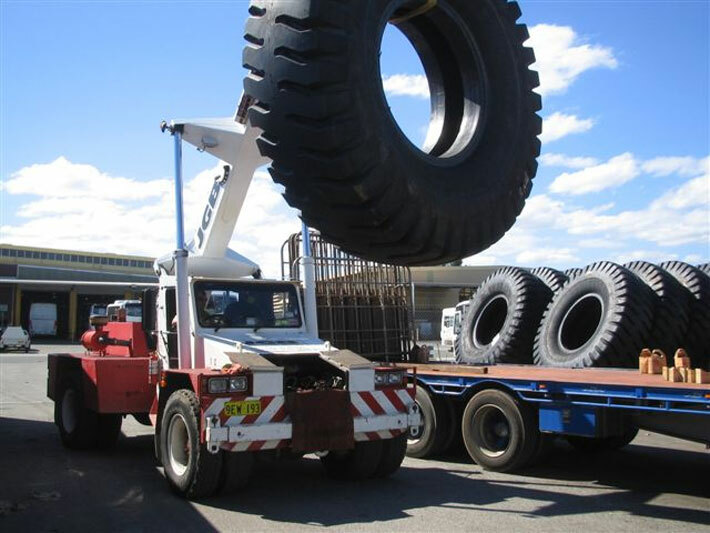 We often use our 14 tonne Franna crane to unload huge tyres off trucks. National Tyres in Welshpool bring these big earth moving tyres in regularly and require our assistance to unload and store in the warehouse.